1. Own or have the regular use of a bicycle of correct size. The Cub should also have a safety helmet and reflective or light coloured clothing. 2. Be able to mount and dismount properly. 3. Be able to clean and oil the bicycle and pump up the tyres. Understand the need for keeping the bicycle in a roadworthy condition. Lights and a bell should be present. 4. Under observation go for a short ride on a specified course showing knowledge of proper use of signals and rules for the road user on wheels (as per ‘The Highway Code'). 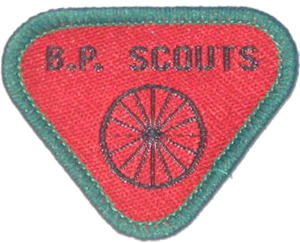 Note: A Cub who has passed the Cycling Proficiency Test (ROSPA) qualifies automatically for parts 2, 3 and 4 of this badge.